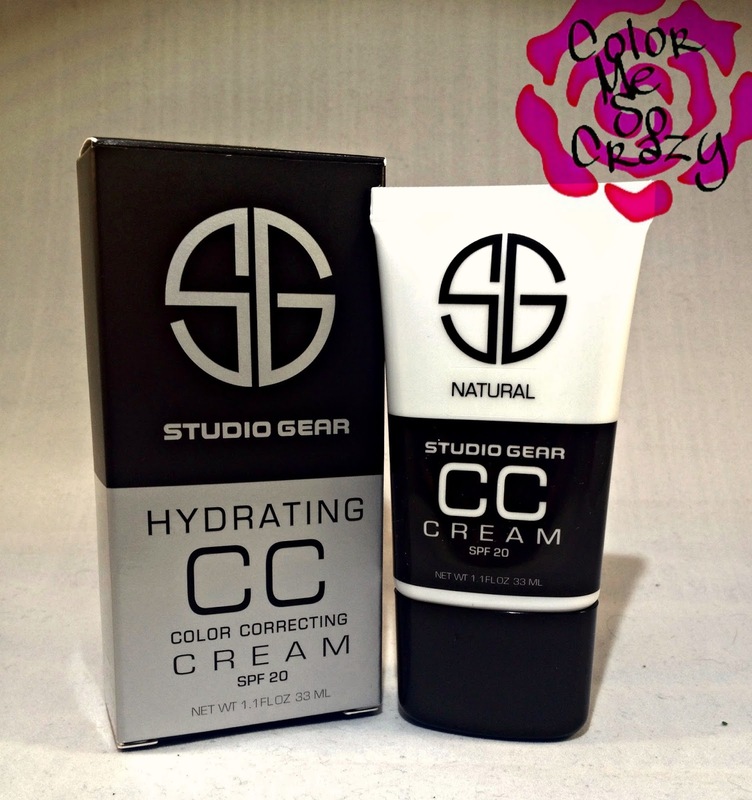 When I was invited to the Studio Gear CC Cream campaign, I was so excited. Then I realized that I have a ton (and love them all) of BB Creams, but not ONE CC Cream. Then my education brain kicked into high gear and I went to Professor Google to find out what exactly the difference is between BB Cream and CC Cream and what would make me switch over to CC Cream. 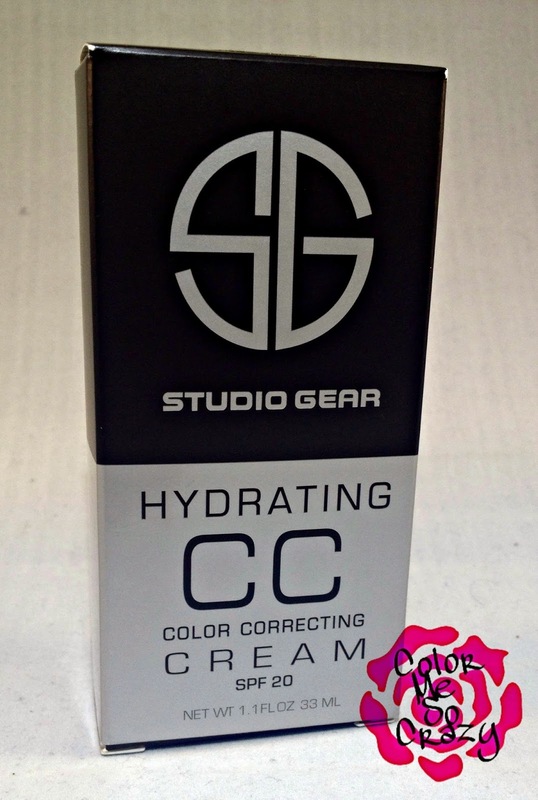 So, now that you are informed, let me tell you about Studio Gear CC Cream. It comes in a simple package with the color clearly stated on the front of the bottle. You can also go HERE to see some more details and make your purchase. As you can see, it comes out white. Well, that was a shock for me. I was so confused! I also noticed a faint flowery scent. It did not smell medicinal or alcoholic. I liked that. Sometimes make up smell, well makeupish. If you can see there are little tiny colored beads in the liquid. These burst into a pigment, in my case it's natural, when you begin to put it on. As you can see, this first applies darker than my skin tone. I got sooo nervous. I am usually somewhere in between a fair and natural, more leaning towards natural. I swatched this on the side of my arm. 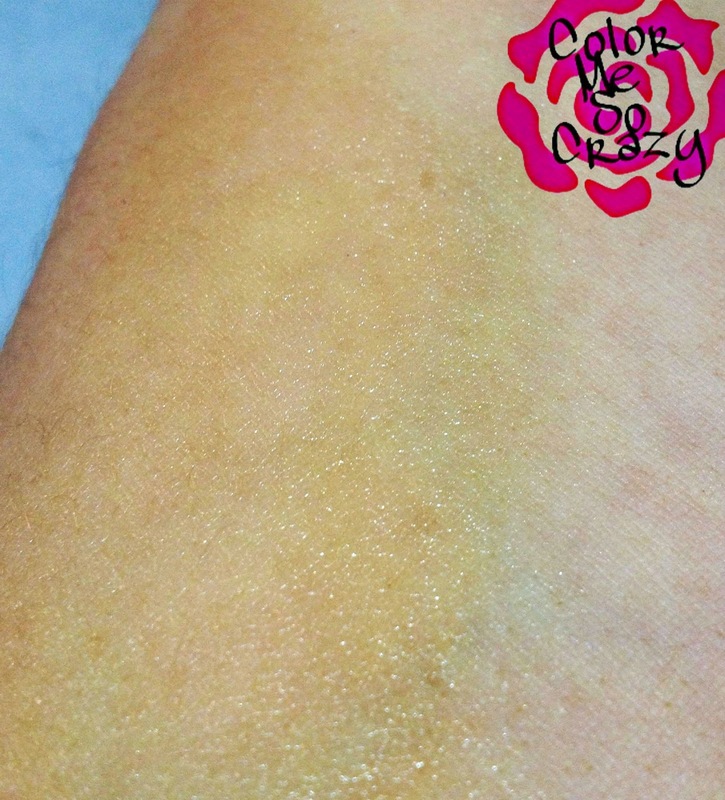 So, I could see the color on the top of my arm and again on the bottom- which is the lightest color. 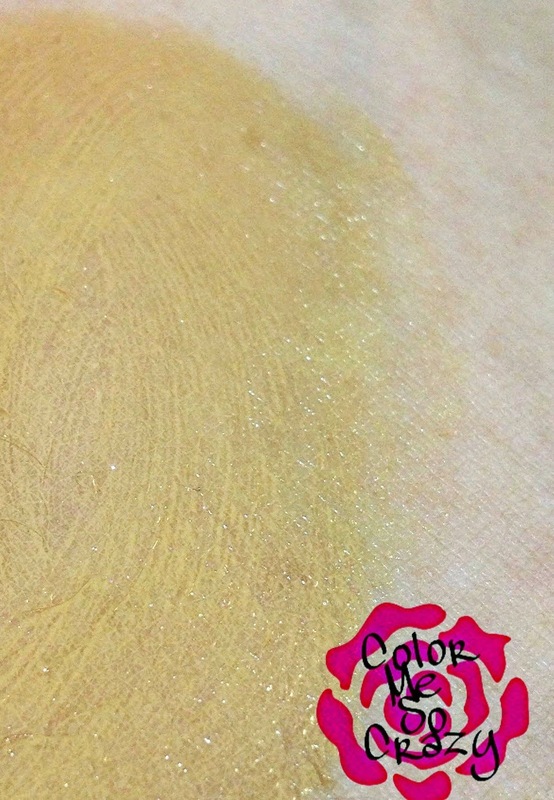 As you can see it blended really well. I applied this with a beauty blender. Once I let it sit for a little longer and blended it more, it settled it nicely with the underside color of my arm as well. I was super impressed that it was able to chameleon color change like that. Like it was magic! Anyway, I really enjoyed this product. Between the pleasant scent and the awesome coverage, I can say I recommend this product. I have super sensitive skin. Like the type of skin that breaks out super bad during "that time of the month". This product did gook up my skin and didn't cause any unusual breakouts or skin disruptions. My present to you for reading all of this!! Studio Gear and Brand Backer is letting me give you a special discount on their website. You can get 10% your order by entering "bloggercc" and you will find out a sweet little discount in your shopping cart.